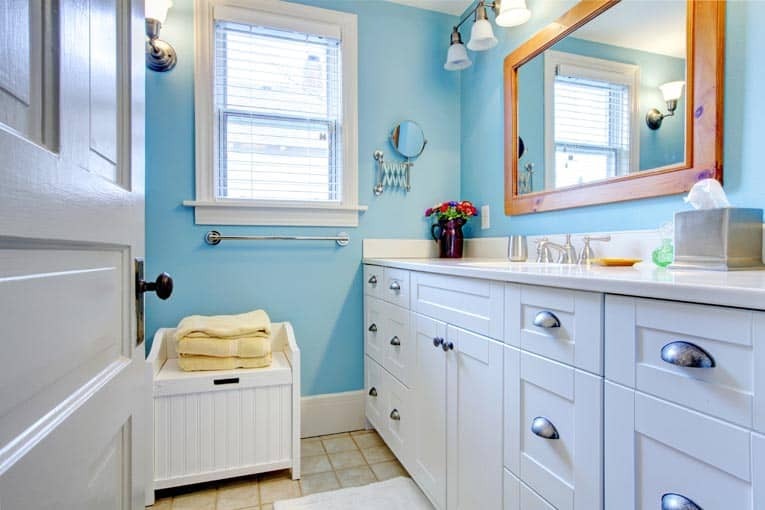 The workings of most bathroom fans are accessed by pulling down and unlatching the spring-mounted cover. A fan is essentially an electric motor with a propeller or drum-like blades. 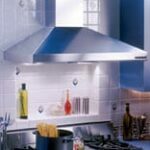 When bath and range-hood fans stop working, the problem is usually one of two things: the fan isn’t receiving power or the motor has burned out. 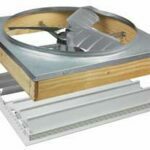 Here we look at fixing bath and kitchen fans. For information on repairing large-bladed decorative ceiling fans, please see How to Repair a Ceiling Fan. If the kitchen or bath fan shows any signs of life when you turn it on (such as humming), you know it’s receiving power. If it’s dead to the world, check the circuit breaker that serves the fan. For more about this, please see How to Turn Off Your Home’s Electricity. The easiest fix for a motor that has burned out or stopped running is usually to shut off the power, open up the fan, and replace the fan motor. A project like this normally doesn’t involve doing any electrical wiring—most fan motors simply plug into a receptacle mounted inside the housing. 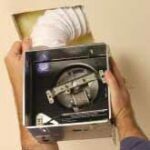 If your bathroom fan stops working, replacing the fan motor is an easy fix that you can do yourself in under an hour. A replacement motor will save you time and headache, as you don’t have to remove the whole fan unit to make the repair. 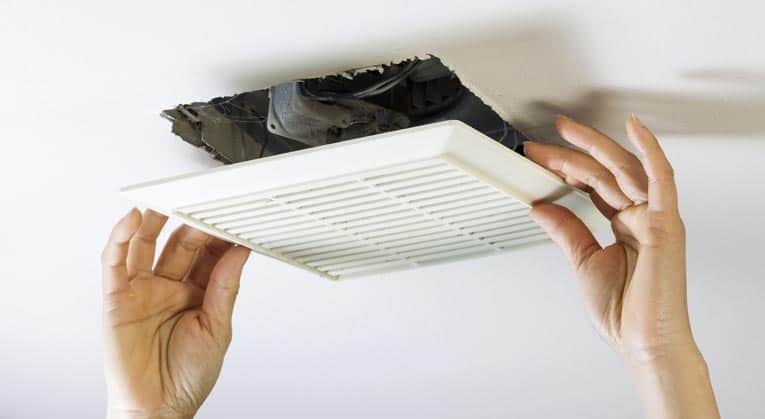 A new motor may cost as much as a new fan, but you can change it out easily without having to do major ceiling surgery or crawl around in the attic. 1Begin by opening up the fan. Remove the grille, which is often held in place by spring clips. With most, you can just pull the cover off. Clean away any dust with a cloth or vacuum. 2Then write down the fan’s model number, which can usually be found on the unit’s housing. Order a fan replacement motor online or from an appliance parts dealer. When you have the part in hand, move on to the next step. 3Turn off the power to the unit at the electrical circuit box, and use an electrical tester to make sure the unit is not receiving power. 4Disconnect the fan from its electrical source. If the motor has a simple plug inserted into a receptacle behind the fan unit, simply unplug it. If it is hard-wired to the electrical system, disconnect the fan motor from the electrical wiring, making sure to remember where each wire goes when you put in the new motor. 5Remove the motor plate by removing any screws and prying on or squeezing the side of the unit. 7Install the new fan motor, just reversing this process. Again, make sure power to the unit is shut off at the main circuit breaker before working with any of the wiring. Fasten the fan grille plate, turn the power back on and give it a test!